Should you keep with one network marketing company or run with two? After years of coaching many Top Earners, here’s my honest advice if you want to become successful in network marketing. 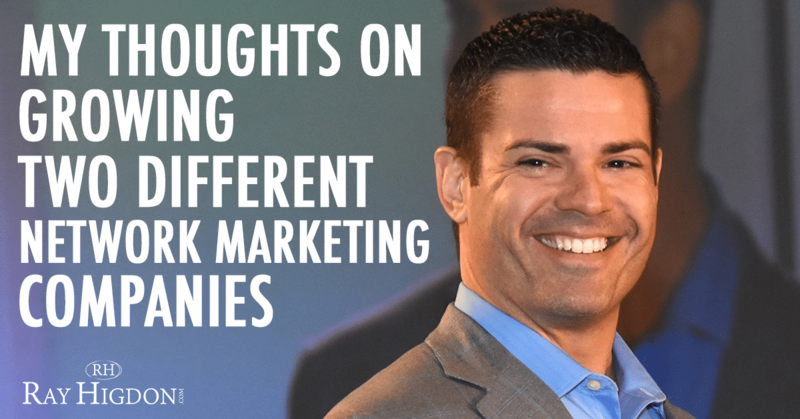 Do I think it’s a good idea to grow two different network marketing companies? The reason why is what will make you the big money in network marketing isn’t the transaction. A lot of entrepreneurs, sales people, and internet marketers think transactionally. What can I sell to an individual? When you think in that way, then that’s when it makes sense to have multiple things to offer. “Oh, you don’t like this? How about this? How about this?” When you understand what makes the REAL money in network marketing is in the culture, then it becomes harder to justify that. If you understand that culture, not transaction is what makes you the large money, then it defeats the argument of building more than one. The question is to understand what actually builds the large checks. The large checks in network marketing are always based on culture. In the video below I explain what exactly what team culture is and why it is so dang important if you want to be successful in network marketing. Thanks for clarifying that Ray. It made so much sense. The culture of a company is so important and the resources and support it offers to its members. Some people do multiple things ok. However, the athletes who make it to the olympics focus on ONE sport and excel beyond average at it. Thanks for sharing your honest thoughts ray on this topic.